Auto, Home, Health & Travel Insurance programs for U.S, Mexico and Worldwide. Novamar Mexico is an affiliate company of Novamar Insurance Group, Inc. a US Insurance Brokerage company with a combined experience of more than 50 years in the insurance Industry. Also, Yacht Insurance Programs for U.S, Latin America and Europe. Novamar Insurance Mexico - MGI Agente de Seguros, S.A. de C.V., is a Full Lines Mexican Insurance Brokerage firm specializing in American and Canadian community in Mexico. We work with the most established Mexican Insurance Companies and have designed specific insurance products for this community based on their unique needs, which are different from the rest of the market in Mexico. All quotes and policies are in English / Spanish and 100% English speaking staff. 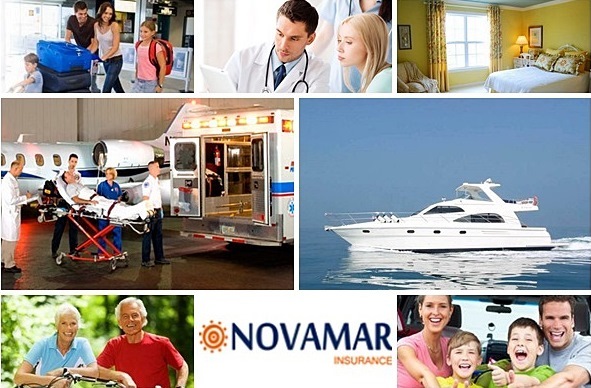 Novamar Insurance Mexico™ offers insurance in Mexico, which makes our affiliation with Novamar General Insurance™ the perfect complement for clients with ties to the USA, Canada, Europe, Mexico and Latin America.